The text of the entire article below, save minor addenda, is identical with a report carried by the OSCE website. The main findings of said report were delivered at the Human Dimension Implementation Meeting in Warsaw, Poland, on 29 Sep 2014. As Uzbekistan progresses on the path of socio-political progress and democratic development, the country faces many obstacles that it inherited from the Soviet era. The goal of our Association Central Asia is attempting to draw the public’s attention to one of such problems and offer solutions with the aim of doing so to promote Uzbekistan’s progression towards the ideals of Freedom and Equality. The issue at hand is the language policies of this state. We are all aware of the importance languages play in any society’s life. Balanced language policies certainly contribute to the consolidation within society, while imbalanced and unjust ones would create latent sources of conflict. The principle of respecting human rights entails providing freedom to all ethnic groups in a country the right to full-fledged use of their mother tongues. Using this opportunity to speak at a pulpit at the OSCE, Association Central Asia Association is addressing the global community with a proposal to recommend the Uzbek leadership to consider granting the Tajik language the status of an official language along with the Uzbek language throughout the entire country. Tajik-speaking residents are natives of modern Uzbekistan, whose ancestors have been living here for millennia and assumed a very efficient function in establishing our civilization. However, as a result of policies Stalin enforced on ethnic groups as part of his so-called “national and territorial размежевании” between 1924 and 1936, the bilingual and spiritually united nation was split into incongruent ethnic formations on the one hand, and were given artificially inflated and previously unbeknownst ethnonyms. The status quo in our dear Uzbekistan, which shows a monstrous error of splitting a solid ethnic mass was committed, is worrisome rather worrisome: a gradual elimination of the Tajik language from education, culture, mass media and toponymy. Given the fact that not only ethnic Tajiks believe that Tajik language is their mother tongue, but several million ethnic Uzbek do so as well – both groups jointly exceeding the entire population of the neighboring Tajikistan in number – the situation is actually a threat from the national security perspective. Especially in the wake of events in Ukraine. Association Central Asia (a society for promotion of democracy and human rights in Central Asian countries) was established in Sweden in 1999. The movement is founded by Pulat Akhunov, one of the former leader of the Birlik Movement (Uzbekistan), who also was a delegate in the Soviet Union people’s representatives Council in 1989-1991 and a member of the Soviet Union Supreme Council. Mr. Akunov was an active participant of the legendary interregional group of MPs that represented the opposition minority, including democratic MPs (A. Sakharov, Y. Afanasyev, B. Yetlsin, G. Starovoytova, A. Sobchak and G. Popov. Members of the association, who are ethnic Uzbeks and natives of Uzbekistan, claim that without the Tajik language and culture Uzbeks and Uzbekistan resemble a plant whose water was squeezed out of it. The Association vision is urging the rehabilitate the nation’s “body” by “incessant injection of revitalizing water” that would replenish the spirit of ethnic Uzbeks as well. The legacy of Iranian cultures in Uzbekistan is an inseparable part of the Uzbek population, including the ethnic Uzbeks. The fact that this [legacy] is being mixed with mud for the benefit of awkwardly inflated Turkism strips our civilizational past of its richness. 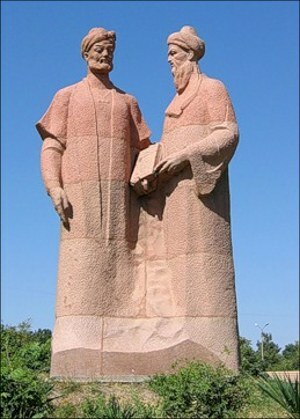 Sarts served as the basis of the Uzbeks’ ethnogenesis and they spoke in two languages: Turkic and Farsi. The Soviet leadership renamed the two languages as Uzbek and Tajik, respectively. Thus, ethnic Tajiks, too, are a native people of Uzbekistan just like ethnic Uzbeks are. There are also grounds to claim that [the two ethnic groups] are absolutely identical in terms of culture, whose differences are limited to just regional variations. Meanwhile, Uzbeks and Tajiks living together can be seen in Uzbekistan, Tajikistan and Afghanistan. In other words, we are an inseparable ethnic mass in essence. But why do Tajik-speaking citizens emigrate from Uzbekistan most? Because they have significantly fewer chances to be accepted to a number of state agencies and ministries, including the power-wielding and law-enforcement bodies, than their “titular” fellow citizens. That said, indicating one’s ethnicity as Uzbek in job applications could be insufficient. Even if one does not face open discrimination against their ethnicity, that person is haunted by the feeling of imperfectness in a country, whose name stems from the name of another ethnic group, i.e. the so-called “titular” group, which is, therefore, the “ruling” ethnic group. And the fact of the matter is that this person was born and grew up in a country, where his ancestors lived for centuries and greatly contributed to its rich and unique wellbeing. Such feelings and status force the young generation of our Tajik-speaking fellow citizens to turn toward those who offer feelings of brotherhood and Islamic equality, seeking support for their national aspirations. Perhaps this is not bad; it could even be bliss if only one’s passion for religion would not replace the secular aspects of life, including professional education and would not turn into violent attempts to prove one’s “spiritual sufficiency.” However, that is exactly where the “titular” majority’s young representatives are striving towards as well. Why so? Because in a society where seeds of segregation are sown, it will certainly manifest itself. In other words, if xenophobia is allowed to rear its head, then there will be limits to it; this is an axiom! The Uzbek authorities are tackling their own law-abiding citizens, who are deprived of opportunities to live and work normally due to the ethnically exclusive state policies. Furthermore, a wide swath is being to fool the international community by showing distorting the reality and providing unrealistically well-off statistics of life in the country in this regard. Any attempts to peacefully resolve such matters per legal norms and procedures run into the brick wall of bureaucracy and vehement resistance on the part of officials, local leaders and regional clans who mobilize local apolitical populations in show of an unconditional support for their reign. The population and leadership of Uzbekistan, in our opinion, have two alternatives: Continuing the policy of ethnocratic dominance and shoving the problems of the Tajik language under the carpet, sabotaging the Tajik-speaking population’s cultural growth and development, practically oppressing their national dignity. Doing so cultivates distrust toward the second-largest “non-titular” yet a most important ethnic group in Uzbekistan. This, in turn, brings about fertile ground for latent resistance to state policies; [this resistance] could eventually assume the form of the bloody process of political Islamization of the country under the “Islamic equality and brotherhood” slogans. On the other hand, with the help of the OSCE and other international bodies, the country could immediately establish a commission of internationally renowned scholars, independent experts, and representatives of the Tajik-speaking population as well as other relevant persons. The commission would consider the issue of rehabilitating the Tajik language and culture for the glory and benefit of the Uzbek nation, which could then serve as an example of tolerant and wise approach to issues of utmost importance in the field of ethnicity. Doing so would also establish conditions for fruitful cooperation and security. To our mind, such an action would not spur the threat of ethnoregional separatism, provided the Tajik language is granted the status of an official language throughout Uzbekistan along with the Uzbek language. Such an approach would prevent potential geopolitical maneuvers in the region in the form of external powers’ attempts to play the “Tajik card,” by inflating the controversies around [presumably the current statuses of] Samarkand and Bukhara. Granting the status of an official language to Tajik would provide our country with additional geopolitical opportunities in the vitally important south and southwest parts of the region. Uzbekistan would gain as much right as Tajikistan or Afghanistan to represent the political and cultural interests of the Tajik ethnos and the guardian of its historical legacy. Granting the official language status to Tajik would mute any outside voices that lay claim to certain parts of the modern-day Uzbekistan territory. On the contrary, an opportunity for removing borders altogether, revitalizing centuries-old communications and peaceful reunion of the Tajik and Uzbek lands could assume realistic chances. Removing the indication of citizens’ ethnicity in national identification documents would be a wise move in Uzbekistan. One’s self-identification as “Uzbek” would then assume sense and reasonability nationwide. That said, Uzbek and Tajik, including languages, can always be and remain ethnic Uzbeks’ mother tongues. Uzbek officials claim that the current Constitution, the education system, mass media and the national-cultural centers in the country are already meeting the demands of Tajik-speaking citizens. However, such claims do not hold water as is seen in the content of social networks, academic articles, official and unofficial policies, including that of forced resettlement to uninhibited locales and concealing information on the realistic situation around the linguistic, cultural and political life of the largest ethnic minority in Uzbekistan. The official statistics on the number of schools, newspapers and established opportunities for meeting spiritual needs, mildly speaking, is erroneous and incomplete; this can be seen upon an analysis of the status quo in the country, including information gathered from online social networks, which serve as the only platform for extinguishing frustration in the limited information space in Uzbekistan. The majority opinion among our Association’s members is that of certainty that the legitimization of the Tajik language in Uzbekistan would inevitable spur a cultural effect, which could conditionally be called “the Tajik thaw” and it could, in turn, stimulate an all-Uzbek cultural thawing. The fact of permanent emigration of a big number of Tajik-speaking citizens, including labor migrants, alone speaks volumes. This could create a mental misbalance in the country, which was a fertile soil for a fruitful symbiosis of Tajiks and Uzbeks. Consequently, there are high chances of [moral] depreciation if the policies of ethnic persecution continue. To be sure, this persecution is a “self-persecution” because Uzbeks and Tajiks are inseparable and identical in many regards. The reasonability behind establishing a common mode of writing for Tajik and Uzbek is apparent; either Cyrillic or Latin could be used for writing in both languages throughout Uzbekistan. One must also keep in mind that the country’s authorities were disappointed in the preliminary outcomes of introducing the Latin script as the basis for Uzbek language’s written form. The legitimization of Tajik, whose written form is expressed in Cyrillic, and the need to unify the system of the written language in the country now serve as a convenient and quite appealing reason for the government to cancel its not very successful decision [to chose Latin] and return to Cyrillic without losing face. We recommend adopting a specific decision at a nationwide referendum. By the way, the referendum on such a “harmless” topic would be a good educational curve for the population in regards with civil activity, which, generally speaking, the authorities are actually interested in. The necessity in proposed activities is dictated by the mistakes and errors contained in the current practices based on Soviet-style methods: a stroke of pen can instantaneously turn natives of a country into a “ethnic minority” despite the fact this group’s ancestors lived here for centuries. The tragic events in southern Kyrgyzstan in June 2010 are the wakeup call to immediately implement measures to prevent such outcomes. If the country’s leadership displays the political will and adopts proposals contained herein, then Uzbekistan would become a pioneer in restructuring domestic ethno-linguistic policies in the entire post-Soviet area. - A detailed analyses of the discussions of the topic in the following Facebook groups: Turan, The Turan Analytic Council and Ariana since their launch by history experts, ethnologists, sociologists, political scientists, and journalists throughout Central Asia and beyond, including over ten individuals with academic degrees and world-renowned names.